Perhaps one of the best innovations of our time, Bluetooth earbuds have completely revolutionized our music experience. In this article, we take a step back to take stock of 5 eye-opening design innovations in Bluetooth earbuds. But first, let’s just glance a bit at the history of Bluetooth earbuds. We shall not, however, go to the 1800’s when the phonograph with listening cords. Since the invention of the iPods in 2001, the music entertainment industry has undergone significant changes. These changes in design have ensured music enthusiasts get more than just great sounds but also enhanced comfort and safety of their devices. Design of earbuds is largely informed by the sense of maximizing comfort to music lovers. Over the years, the design has gone from the hard plastic earpiece to comfortable silicon eartips. One of the greatest, yet less recognized design innovations is the size. For a very long time, headphones lacked customization. It is safe to say they were cookie-cutter devices. Not now. Currently, earbuds come in various sizes to fit different ear sizes. Most brands come with extra-small, small, mid and large ear tips to ensure the earbuds fit perfectly. This has significantly cut down on incidences of falls. After all, who wants an earbud that pops out of the ear every time they are having a jog? This is the number one worry with the earbuds. While the wired headphones are free from the battery issue, Bluetooth earbuds have to contend with the battery life. Depending on the earbud brand, you could last anywhere between 3-10 hours on a single charge. Current earbuds, however, have come with attractive battery life, with even some of them promising close to 24 hours of music on a single charge! Now, that’s quite something. Additionally, battery life extends to a few other fancy things. One of these being how fast the earbud charges. Looking at this aspect, some earbuds could last up to 5 hours on a 15-minute charge! Another major invention concerning the battery is just how you charge it. The earbuds are pretty small and compact. While some designs like the Apple airpods use a small USB charger on the side of the earbud casing, other brands are different. Wireless charges have become commonplace. These wireless chargers not only offer so much convenience but also charge your earbuds faster to last longer. One remarkable innovation in the Bluetooth earbud industry that has also transformed the user experience is the sound quality. Generally speaking, most music lovers cherished the big over-the-ear Bluetooth headphone due to their consistent bass. But this is one quality that is fast gaining traction in the Bluetooth earbuds. In fact, the best Bluetooth earbuds in the market have some amazing sound quality that you would not expect from a device as tiny as the earbud. This unique sound innovation is as a result of a delicate balance in the sound system. Any high-end Bluetooth earbud owner today has unlimited access to a consistent bass, balanced treble and a crisp mid-range. Noise cancellation: The noise cancellation feature in modern earbuds design helps you to focus on the music by eliminating the ambient sounds. This is does by determining the wave of the song you are listening to, and blocking any other wave from accessing your ears. This way, you have an uninterrupted music time. Hear-through: This feature is the opposite of noise cancellation. When you are out jogging and listening to music from your earbuds, you have the opportunity to hear ambient sounds from the environment just to keep you safe. For example, you may be on your earbuds jogging then there happens to be a hooting bus right behind you. The hear-through feature enables you to perceive the sound and get out of harm’s way. 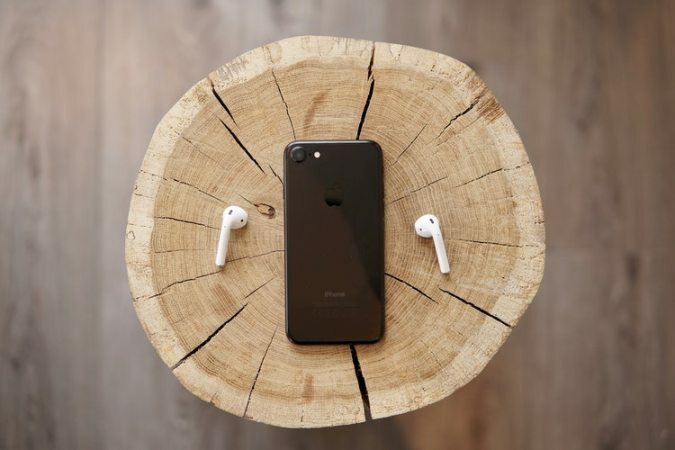 While you can barely notice this when listening to music from your smartphone, there is some delay time between when the song is playing and when you hear it from your Bluetooth earbud. This is what latency means. Latency can be seen mostly when watching a movie or a music video but it can be so bad with movies especially with the lower versions of earbuds. The newer versions incorporate better latency technologies that make your entertainment experience quite epic. Now, latency is significantly reduced with the newer codec innovations. Codec is simply a piece of software that encodes an audio file at one end and decodes it at the other end. Earlier versions of codec produced harsh, sharp sounds. However, the newer versions of codec began with the emergence of the Advanced Audio Distribution Profile (A2DP). This has enabled Bluetooth earbuds to stream high-quality stereo sounds via the Smart Bitrate Cotrol (SBC) codec which is the standard codec presently. In 2014, SoundExpert, a popular audio quality testing site, concluded that SBC (at its highest bitrate of 372Kbps) is comparable to Apple-compatible AAC codec file encoded at 192Kbps. The new SBC technology has revolutionized the sound quality to make it one of the best in our time. The wired headphones are completely free from the problem of how long it takes to pair a Bluetooth device. Older versions of headphones take significantly longer times to pair. The newer versions of earbuds could be just a tap away! Some Apple headphones use the W1 chip to reduce pairing time to just 3 seconds. Here, you simply open the Airpod case (the connection screen comes up on the phone) and tap on the screen and you are good to go! Another easier way of pairing is the Near Field Communication (NFC). With this, you only have to ensure your phone is NFC-enabled. The process is actually the simplest. As long as the NFC and Bluetooth are enabled and the earbuds are on, you simply tap the earbud on the phone and Voila! This is the same technology that Apple Pay and Android Pay use. It is actually faster than rummaging through your bag to look for your purse or cash. The only downside of the NFC, though, is the distance. While Bluetooth devices can work well even in a 33 ft radius, NFC is pretty much “near” field. 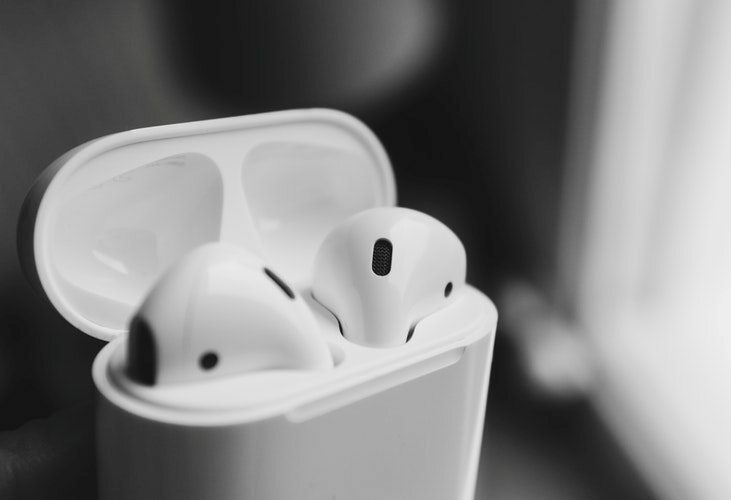 The earbuds are fast gaining popularity thanks to the flagship introduction of the Apple Airpods in 2017. Several brands are diving into the earbud headlong and the technology and design is improving with each passing day. Could this be the future of music entertainment? With the innovations in size, shape, functionality, sound, to mention but a few, the gears are rapidly switching in readiness for the future demands. This article narrows down on five design innovations that we feel have had the biggest impact in the industry. Ultimately, when you are out shopping for your choice earbuds, you already have a bunch of technological issues to look for. This guide in a way shows you what’s trending, what’s non-negotiable like comfort, and what you could just do fine without like NFC pairing. With all these technologies rapidly evolving, we find it inherently important to keep you posted and to deconstruct some of these technical modifications. This way, you are able to make informed choices on the before you hit the “buy” button. We hope you did find value from this.